All For Art, Art For All is the theme of the 54th Annual East Lansing Art Festival, held this year on May 20th and 21st, 2017. This juried fine art festival attracts hundreds of artists and craftspeople to East Lansing and thousands of visitors eager to browse their offerings. An event of this magnitude requires year-round efforts from hundreds of volunteers but that’s “The City of the Arts” spirit! East Lansing, “The City of the Arts,” is home to Michigan State University and a vibrant, art-loving community. The East Lansing Art Festival began here in 1964 as a sidewalk art sale called “Greenwich Village Days.” 54 years later the festival has grown past its humble roots to become a major spring tradition. 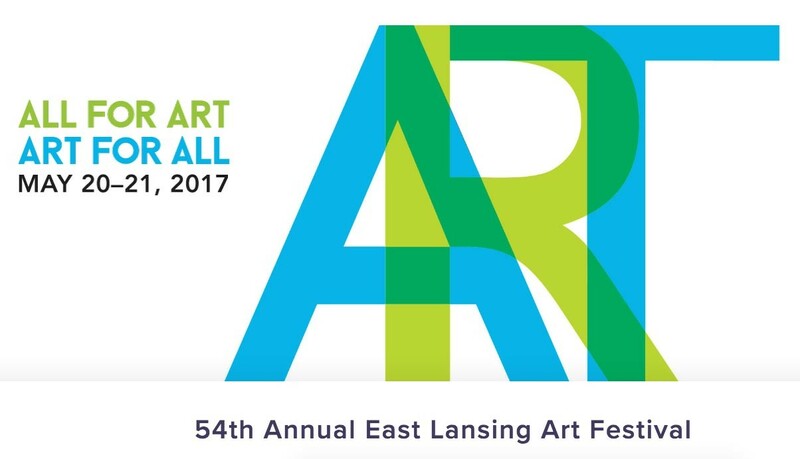 The East Lansing Art Festival (ELAF) is consistently rated as one of the region’s best fine art and craft shows. The festival is not open to manufactured items or food products. Vendors are artists who create original works of art that go through a rigorous jury selection to be selected to appear at the show.